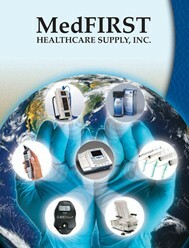 Low Access, High Capacity, Power Back Ultimate Comfort. The 4040 lowers to 19" from the floor and can handle a weight capacity of 600 lbs. The 4040 also comes equipped with a fully-articulating, power assisted back section allowing for simple and easy patient position changes. 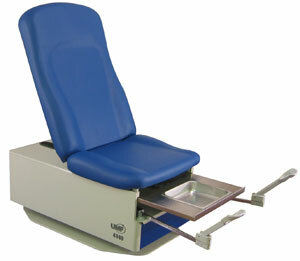 The elevated leg rest pad comes standard, providing additional patient comfort. 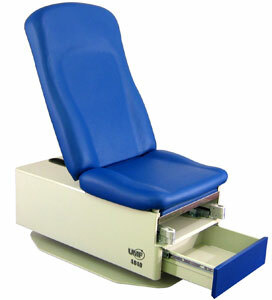 The 4040 also provides the largest storage space of any power exam table on the market. Stainless Steel leg section pullout with removable upholstered leg pad cushion. Removable Stainless Steel drain pan - 4qt. Leg Section elevates 10 degrees for patient comfort. One Touch, Easy Glide Stirrups. Concealed Paper Roll Holder (accepts 18" or 21" paper). Electrical receptacle (115 VAC 5 AMPS Max.) Duplex, hospital grade, electrical receptacle on left side. Front storage drawer - Full extension on roller bearing drawer slides.